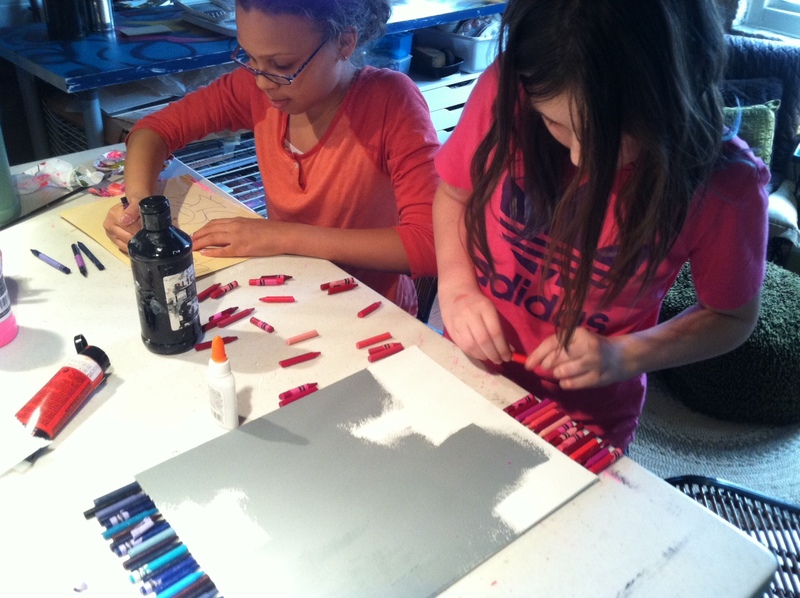 Artists Jojo and Lauren are experimenting with melted crayon art. Join our Facebook page to find out even more news, see photos and help spread the word about Right-Brained Studio Mobile! 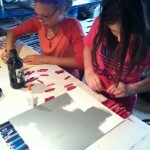 This entry was posted in Art Shows and Special Events, Classes. Bookmark the permalink.